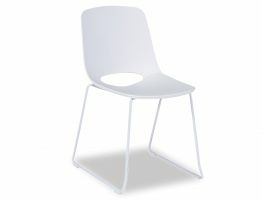 The Wasowsky white modern dining chair from Spanish designers Enrique Del Amo and Angel Marti features a soft molded seat and a sled style base in white powdercoated steel for an enduring finish. 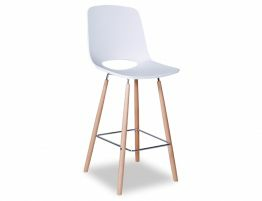 These white cafe chairs combines a techno-polymer seat with a steel sled base for a balance of materials that makes this modern kitchen chair feel fresh and on-trend. 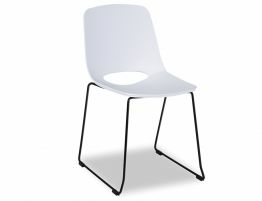 Whether you need kitchen chairs for a home kitchen or a sturdy but chic commercial dining char for your restaurant, the Wasowsky will not disappoint. 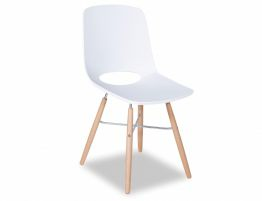 Bring this light white café chair into your space for an instant update. 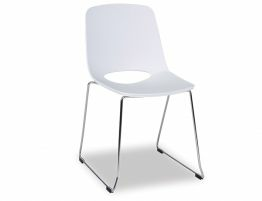 Put the Wasowsky to work as your white modern kitchen chairs or the white café chairs for your restaurant. 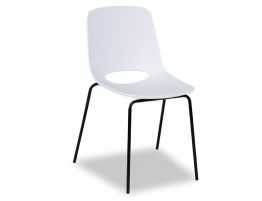 Use this white polymer chair in a bedroom, work table or desk. 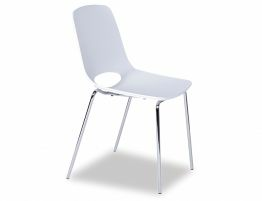 The Wasowsky white dining chair is available in a range of colour choices and base options to help you find your ideal chair.